The first secondary grammar school in Kiskunhalas was founded in 1664. 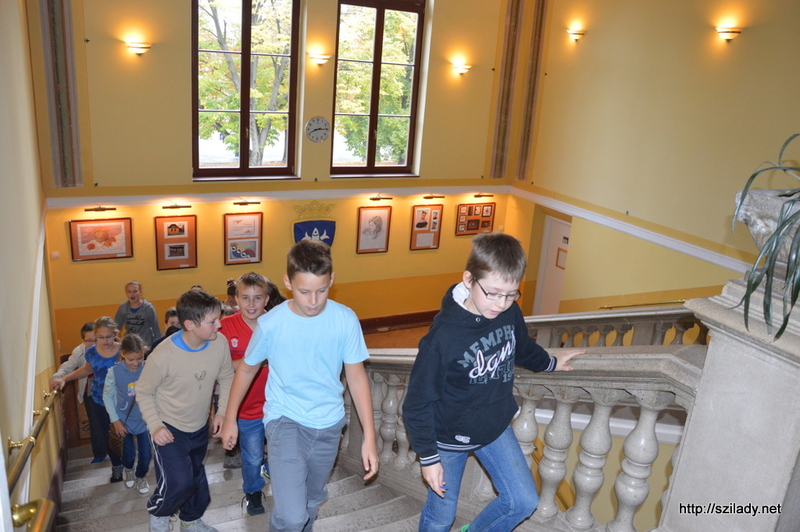 It was a part of the Debrecen Church School. The present building of thechurch school was built in 1892.A lot of excellent teachers have taught here. Aron Szilady was the founder of our school. He was also a teacher of the school, he was a scientist, a Protestant pastor, a linguist, an orientalist and a member of The Hungarian Academy of Sciences - and the school was named after him. After the Second World War the institution was nationalized and it worked as a state school until it was given back to the Protestant Church 1993. The building is on the main street of the town. It has two floors and a basement. It has a computer room, special classrooms for biology, physics and chemistry and it also has a new laboratory building for chemistry, physics and geography. There is a nice library called Thury József Library, which opened in October 2002. The school has its own studio, a gym at the back of the school yard, a handball field, a futsal field with artificial grass, a small fitness centre in the basement and a new skating rink in colder days. The canteen of the school is in the neighbourhood of the school – across the street, where the majority of the students have lunch. The school has a student hostel, too, where students from places far away stay during the week. The students’ hostel and the old school building have recently been connected with the addition of a new part – a modern school hall where meetings can be held. Students of the school do well in the most competitions (for example chess, running, football, music, biology, chemistry, maths etc.). Celebrations and special events are held in the canteen, in the gymnasium or in the hall. The first term starts with the Year Opening Ceremony held in the Protestant church. Another popular occasion is the Freshers' Ball, where the twelfth-year students make fun of the fifth- and new ninth-formers. The School Leavers' Ball is always a spectacular event for the whole school. ‘Szilády Cup’ is a real sports event where students from here and the surrounding region take part in a futsal competition. Other special events are the Gallery of Students’ Art, the 'Szilády Gallery', where students can exhibit their work and pictures. The ‘Nights of Student Researchers' is also an open and exciting programme for all in our town, which can partly be about various lectures given by scientists or other qualified people. The Year Closing Ceremony is held at the end of the school year, in June. Szilády has a school radio and an Internet homepage as well. The motto of the school: Love and quality. The length of studies can be 4 or 8 years. Different programs are available from class 9 such as Humanities specialization, Mathematics specialization and Biology-Chemistry specialization. Special, individual care of talented students is present. Moreover, the few handicapped students are also involved in the program of improving their abilities and various skills with an adequate amount of knowledge and given pace. The pedagogical and methodological competence of our teaching staff should always be updated. With the help of this application and scholarship, we will take a further step in this field. Confident, honest and child-centred attitude are requested and demanded among the teachers so that the students might also follow good examples and benefit for their own and their communities progress. We also put foreign languages in the top priorities in our teaching because the future of our children depends on it. We cooperate with all possible organizations, schools or institutions from abroad to improve the language competence of our learners. 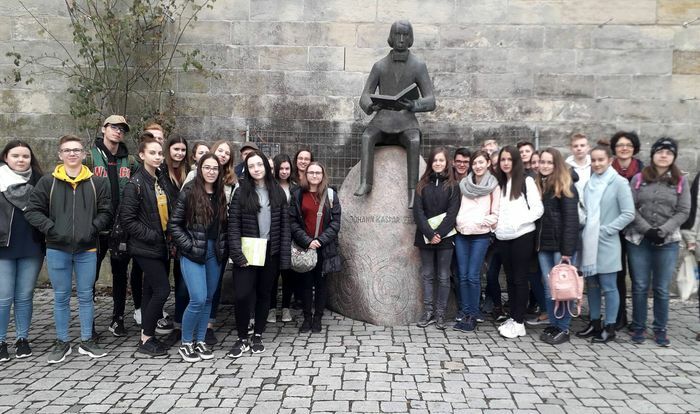 Kronach Secondary Grammar School (Kaspar-Zeuss-Gymnasium) in Germany, Nowy Sacz Maria Konopnyiczka Secondary Grammar School in Poland, Bólyai Secondary Grammar School in Serbia, Zenta (Bolyai Tehetséggondozó Gimnázium és Kollégium), … in France are all our partner institutions. Cultural diversity in our way of thinking and existing relationships makes our school open, friendly and intercultural. There are exchange programs and foreign students who also get involved in the improvement of our community. We host guest students from all over the world. In the near future, there will be a common learning project with the Polish school and students in Biology and History. There are always new ideas in teaching and we try to be creative and find new possible ways to get better and contribute to the success of the common European methodology and global advancement. We need to be well-organized and well-prepared to get ready and find answers to the challenges of our modern era. Competitiveness is one step forward but having a successful application is another one to achieve all we would like to.